You may have never heard of geriatric rehab, but if you’re a senior citizen, it may have many benefits for you. To experience these benefits, though, you’ll need an experienced physical therapy team to help you with your rehab. At Peak Performance, our team of physical therapists has experience helping seniors restore their quality of life. This experience comes from the fact that 30% of our patients are 60 years old or older. To get started with your rehab program, schedule an initial assessment with our Peak Performance team. This assessment will help our team determine exactly what is causing your discomfort. We will use this information to design a personalized geriatric rehab plan that targets the specific issues that you’re facing. The team at Peak Performance uses our geriatric rehab plans to help you achieve your primary goals. The first of these goals is to help you treat the illness or injury that you are currently suffering from. The second goal is to help provide you with the tools you need to improve your quality of life. Our team may use a variety of physical therapy methods in your rehab plan to help you reach these goals. 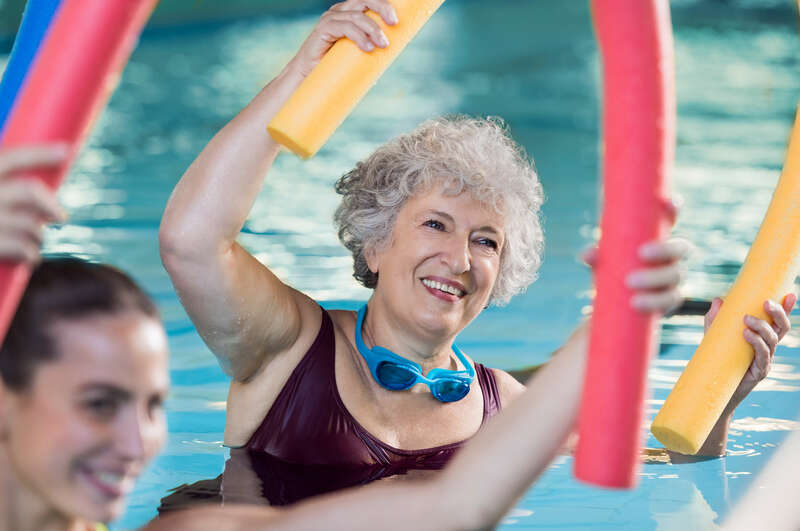 One therapy method that we commonly include in rehab plans for older patients is aquatic therapy. This form of therapy involves you performing exercises, stretches and other movements in a heated pool under the supervision of one of our physical therapy experts. Often, this form of therapy is performed in groups. Another therapy method typically included in senior rehab plans is balance therapy. In balance therapy, our team uses specific exercises to help you improve your balance and your confidence while performing tasks like walking. Thanks to these and other benefits of a Peak Performance geriatric rehab plan, you may be able to see positive improvements in your quality of life that you never thought were possible. To find out more about our geriatric rehab services or to schedule yourself for an initial assessment at one of our locations, contact the friendly staff at Peak Performance now.